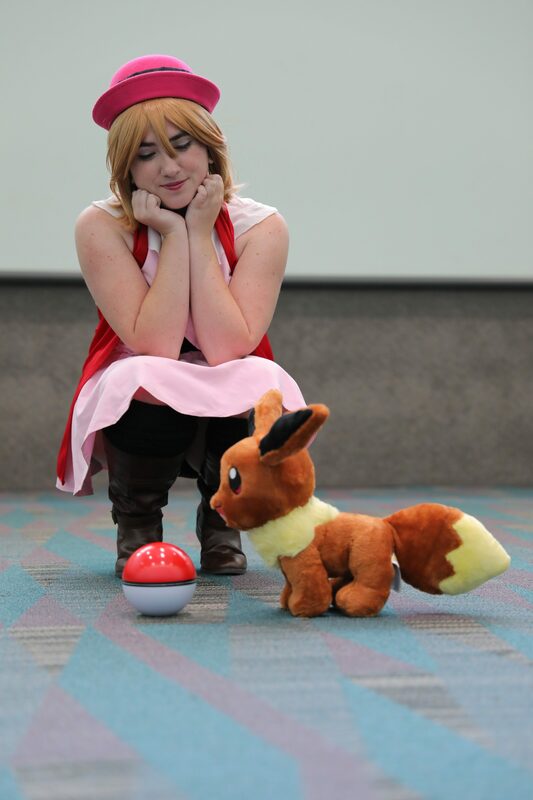 The charming Pokémon Performer poses for photos with her trusty Eevee in this fantastic photoshoot. Featured cosplayer Sami Maher shares a little bit of information about the construction of this cosplay in the paragraph below, along with a great story about the inspiration behind it. 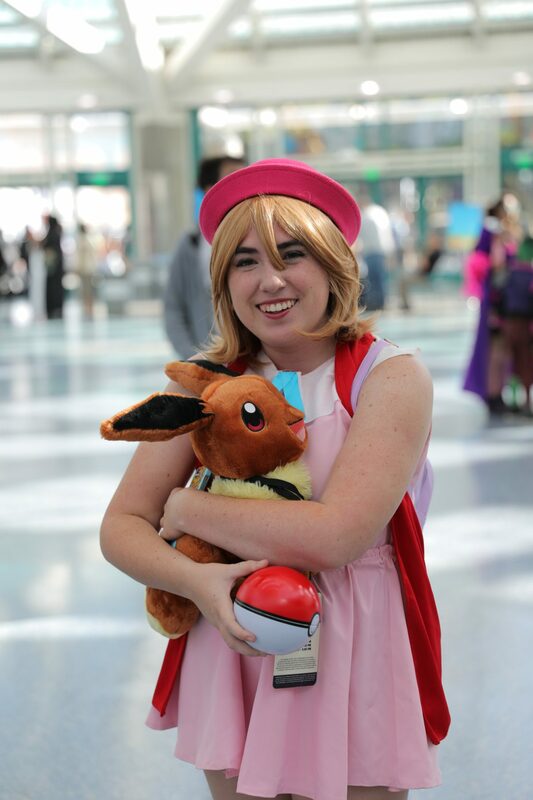 Then, keep reading after the photoset to learn a little bit about the wig that served as the base for this Pokémon Serena cosplay style. I made the dress by hand using the wrong side of pink satin because it had that perfect pink flat color I was looking for! I also made her red vest using a jersey fabric, and attached her signature blue ribbon to the dress! The wig was pretty close to her original style, but I separated the side bangs to both sides of her face, and left a small swoop of hair in the middle, and it came out quite well in my opinion! 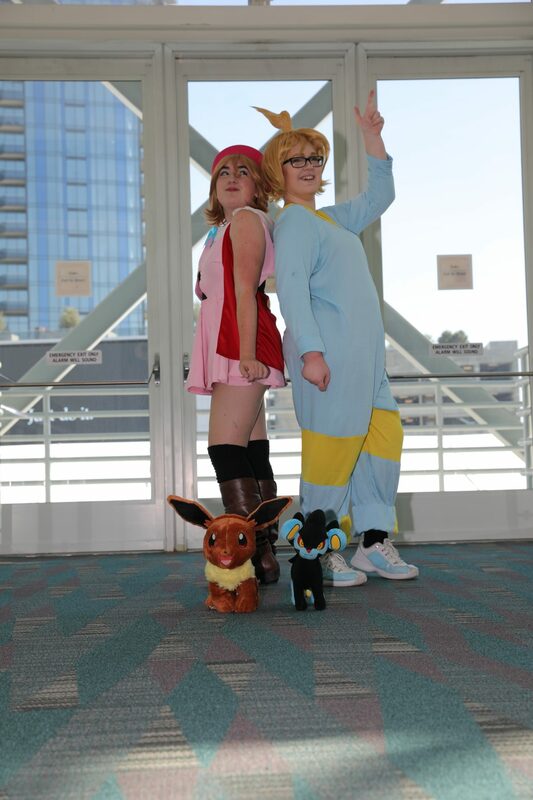 I debuted it at SFCC 2018, but this particular photo was from LACC 2018! I adore Serena’s character, she’s someone who I aspire to be like. She’s caring, passionate, tends to put others before herself, and never gave up on her dreams of becoming a performer. I knew I had to cosplay her one day. When I first debuted her, I just had my natural hair, but I didn’t want to cut it for the next time I wore her, so I chose to get a wig instead, and this choice was perfection!! I love every wig I’ve bought from Epic Cosplay Wigs, but this one has to be my favorite! Featured cosplayer Sami Maher chose to use the Chronos wig from EpicCosplay as a base for this design. It certainly turned out to be a great match! Chronos is a straight and layered wig that measures about 14 inches in length with bangs at 8 inches. 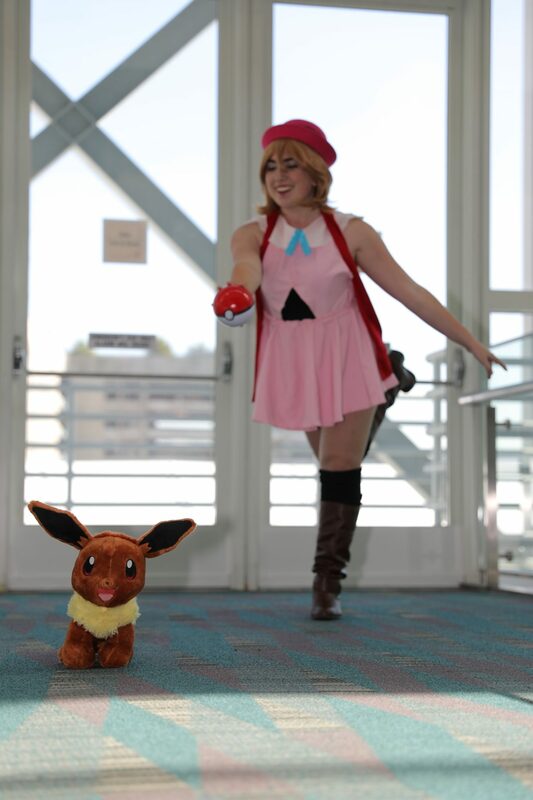 This wonderful Pokémon Serena cosplay uses the Caramel Brown version. Of course, this wig is also available in a range of other versatile hues as well.